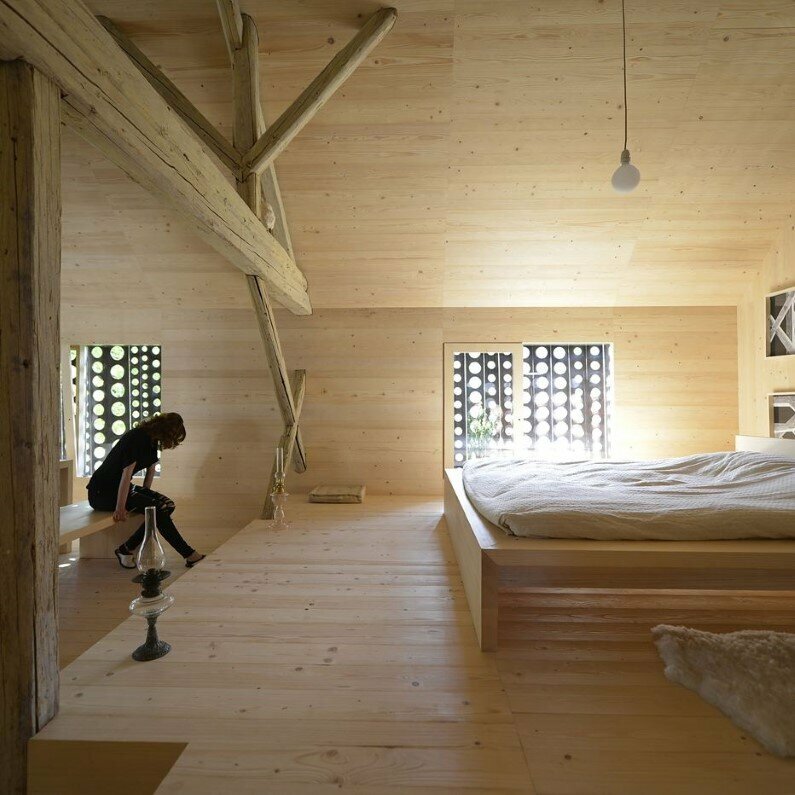 Old Barn Revitalization project defines a conversion of an old alpine barn into a loft apartment. 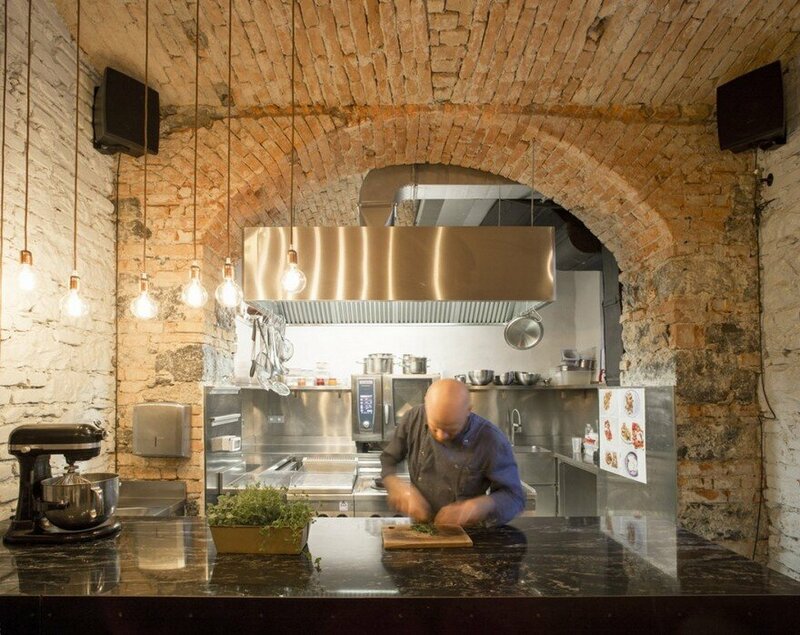 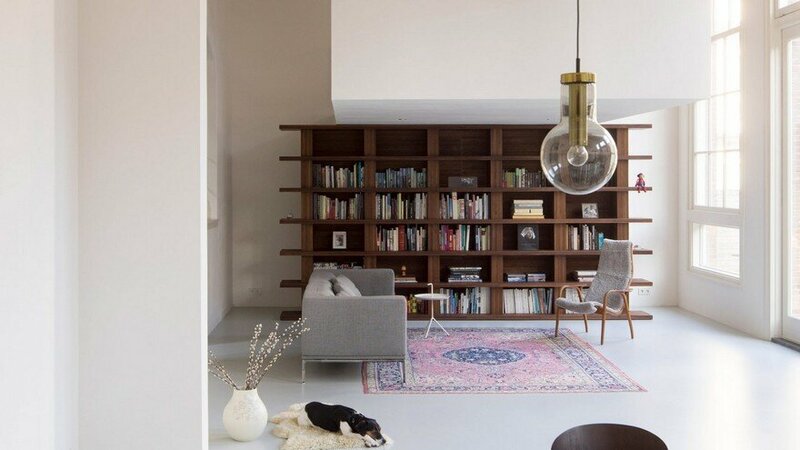 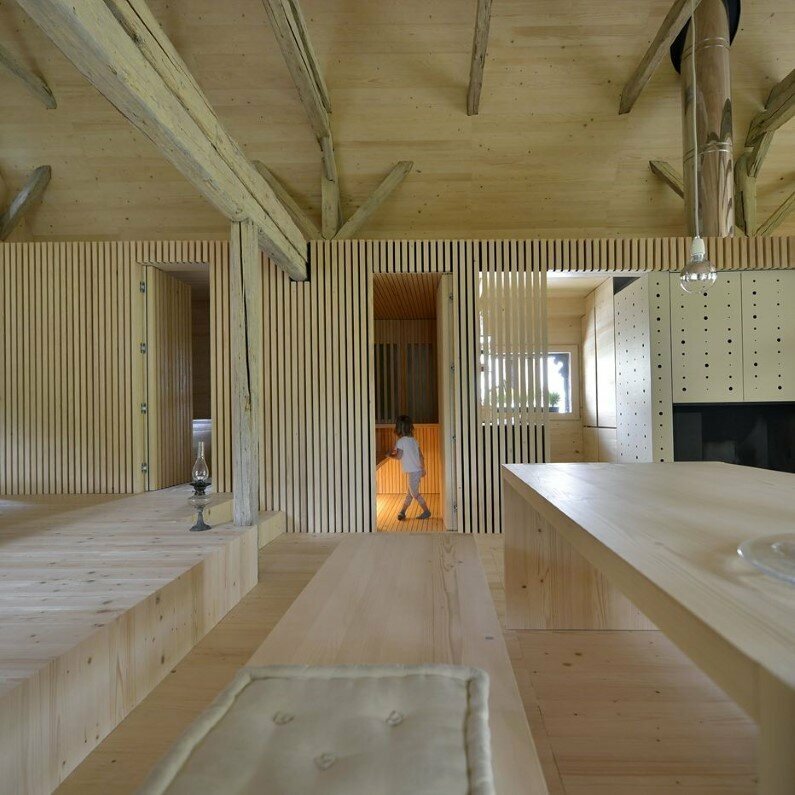 The conversion was completed in 2015 by Ljubljana-based OFIS Architects. 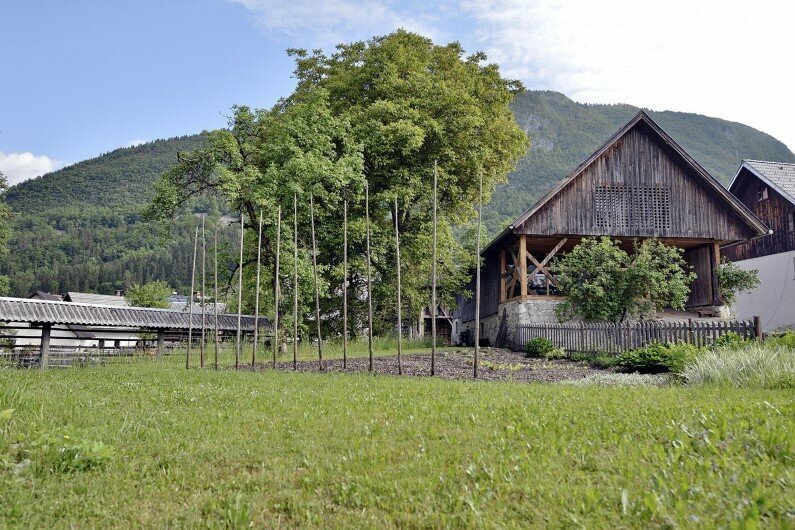 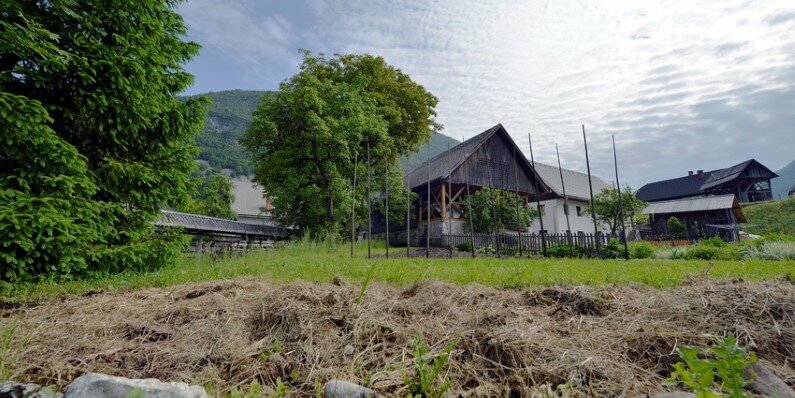 Alpine Barn Apartment has an area of 120 square meters and is located in Bohinj, Slovenia. 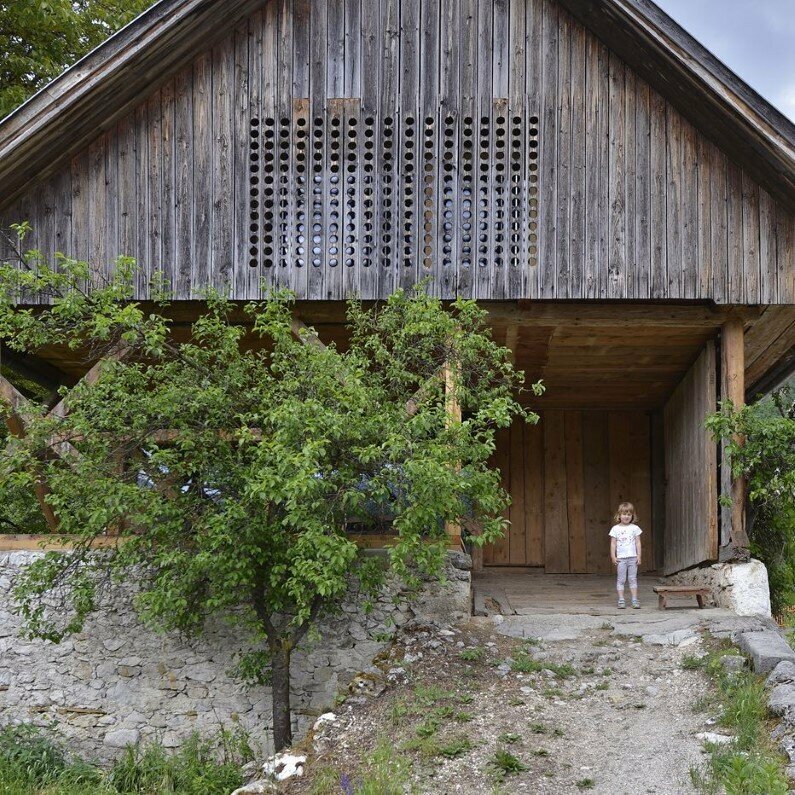 The architect’s description: Traditional landmarks creating a Slovenian countryside also include different types of farmhouses, hayracks and barns. 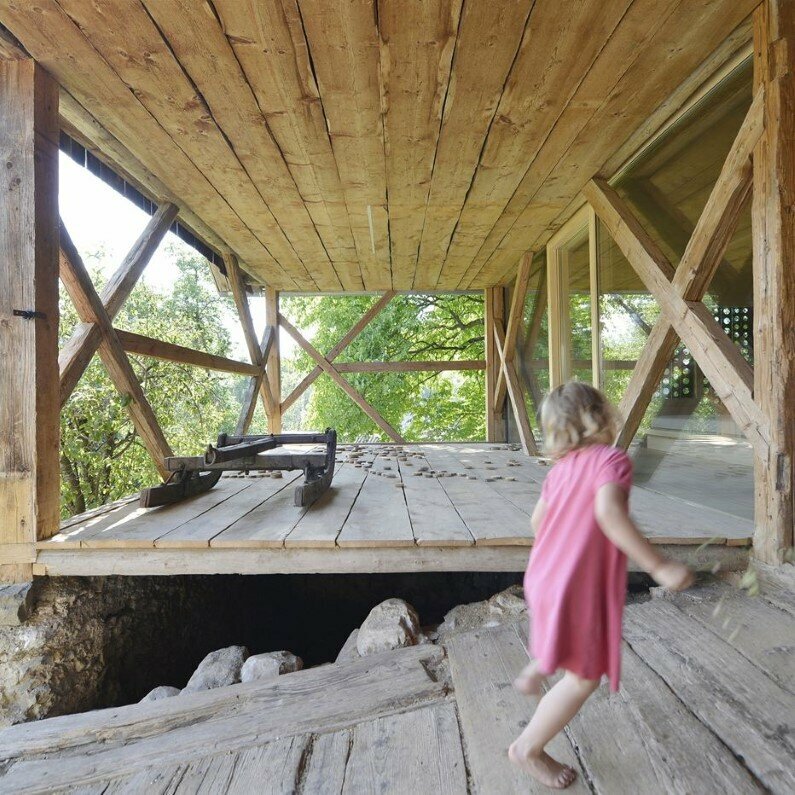 Unfortunately many of these no longer serve its purpose, therefore are mostly in poor condition, non-maintained and often simply destroyed and replaced with generic housing. 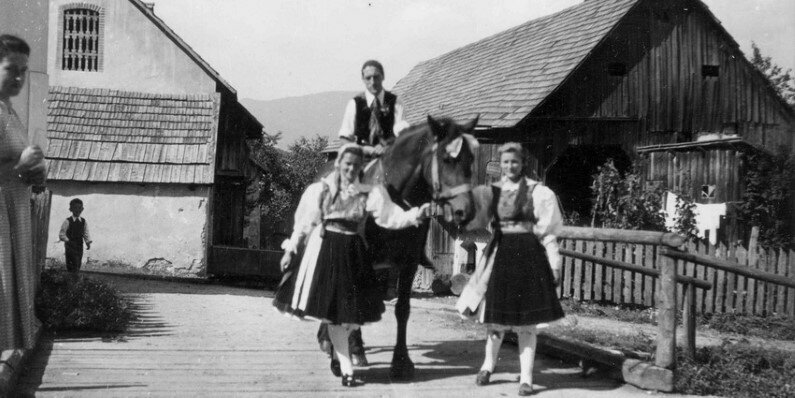 Only by embracing the traditions that have been passed on to by their ancestors ensure that the Slovene vernacular architecture (a category of architecture based on local needs, construction materials and reflecting local traditions) survives not just as national symbol, but also an integral part of the Slovenian rural lifestyle. 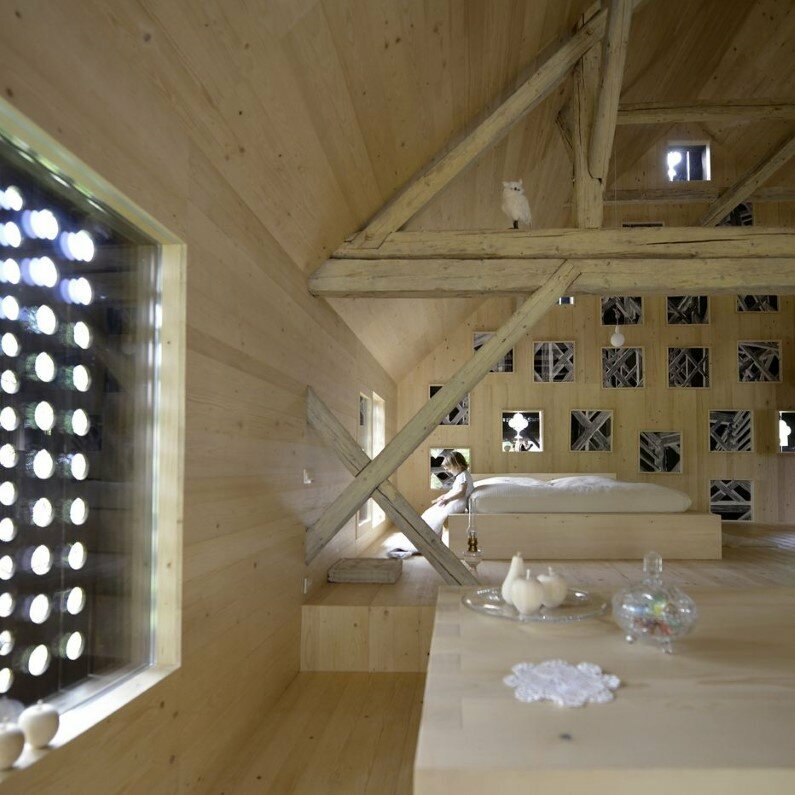 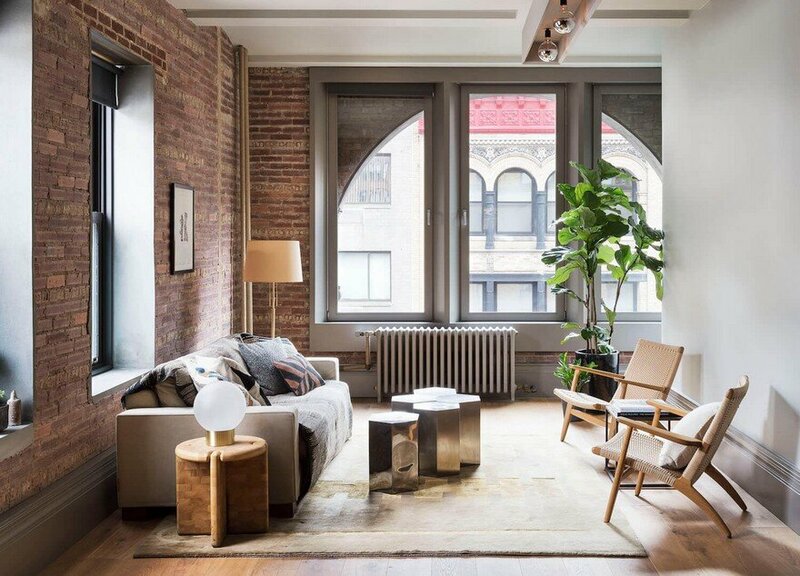 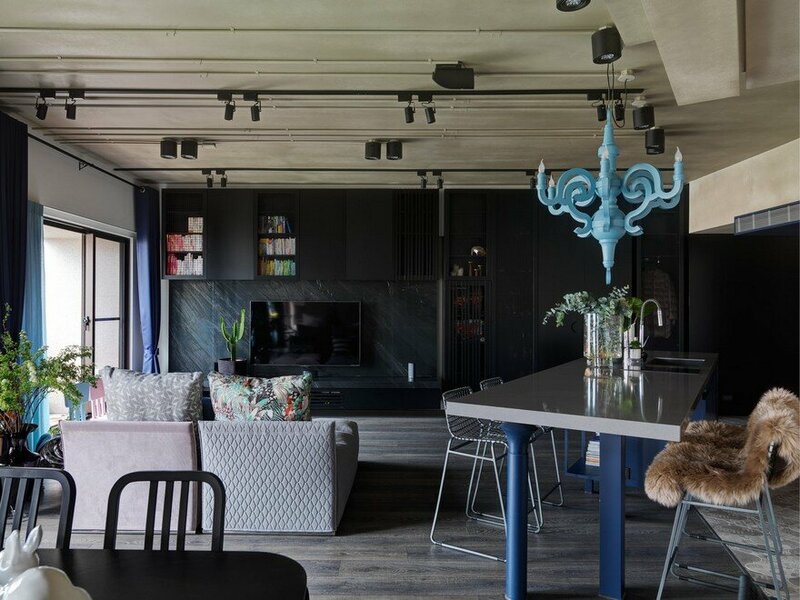 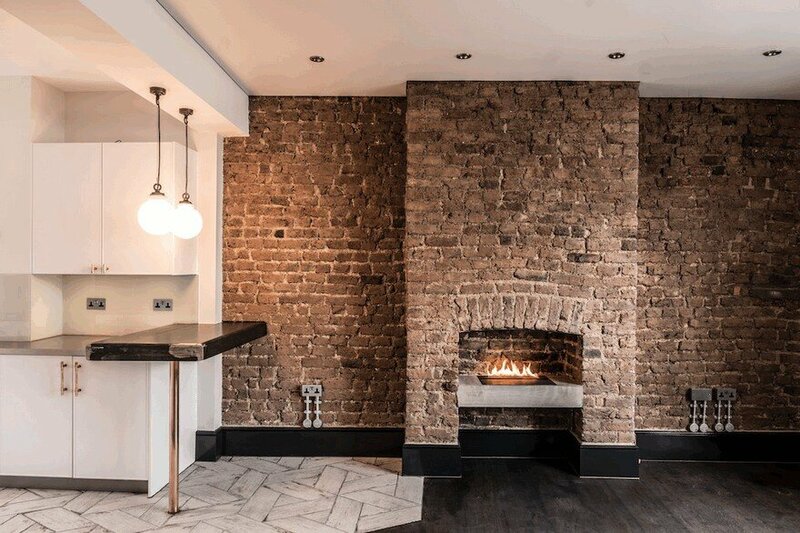 The concept converts old barn into a loft apartment by leaving the original exterior appearance intact in contrast with creating a new internal wooden shell. 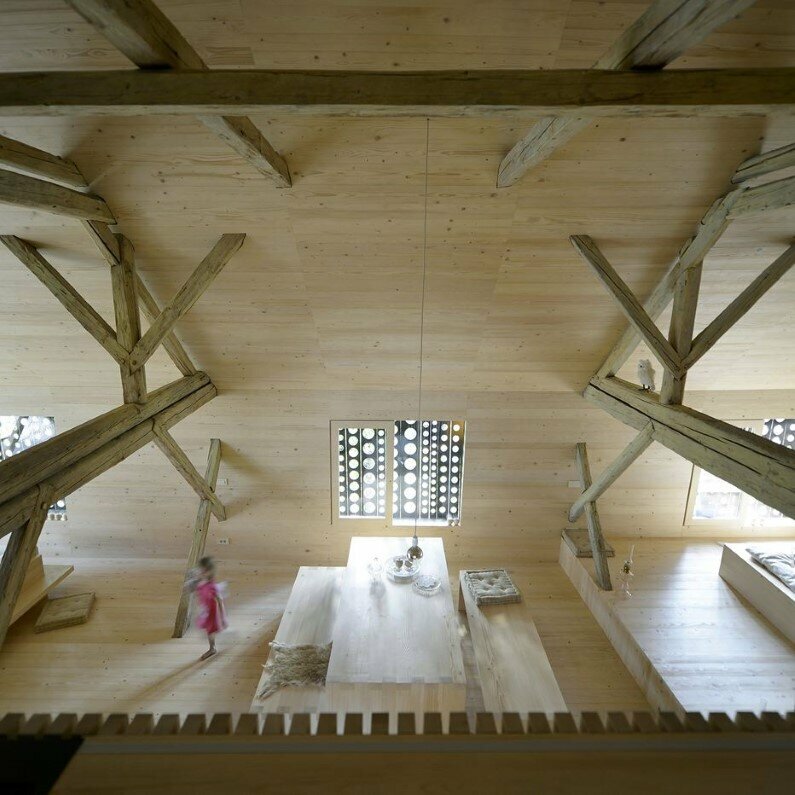 Originally, ground floor served as stable for stock and upper level for drying and storing hay and farm equipment. 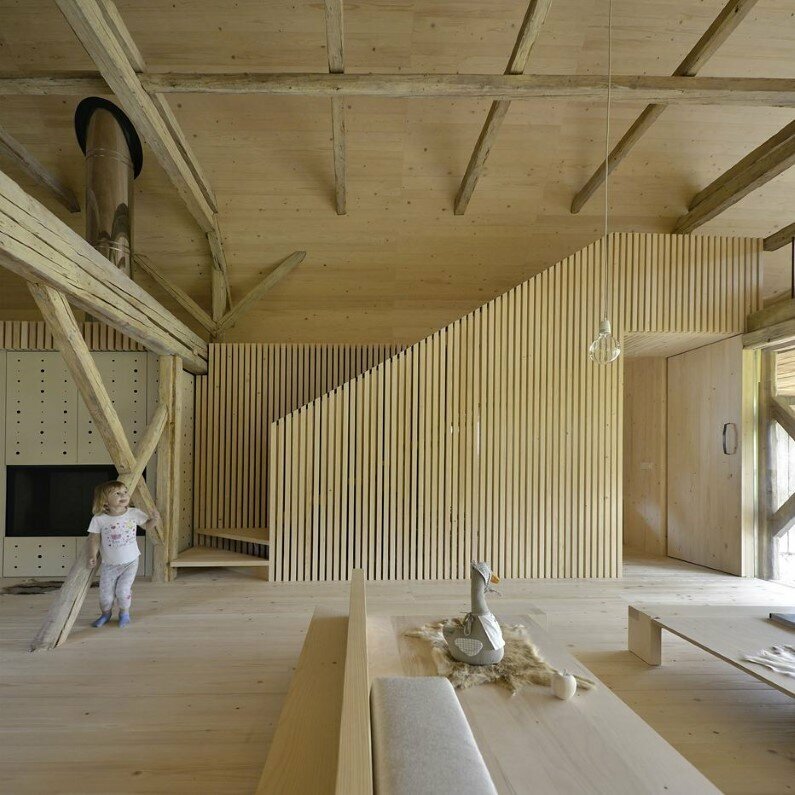 The existing ramp, which leads to the wooden deck above cattle area – is kept and serves as the main entrance to the new gallery apartment. 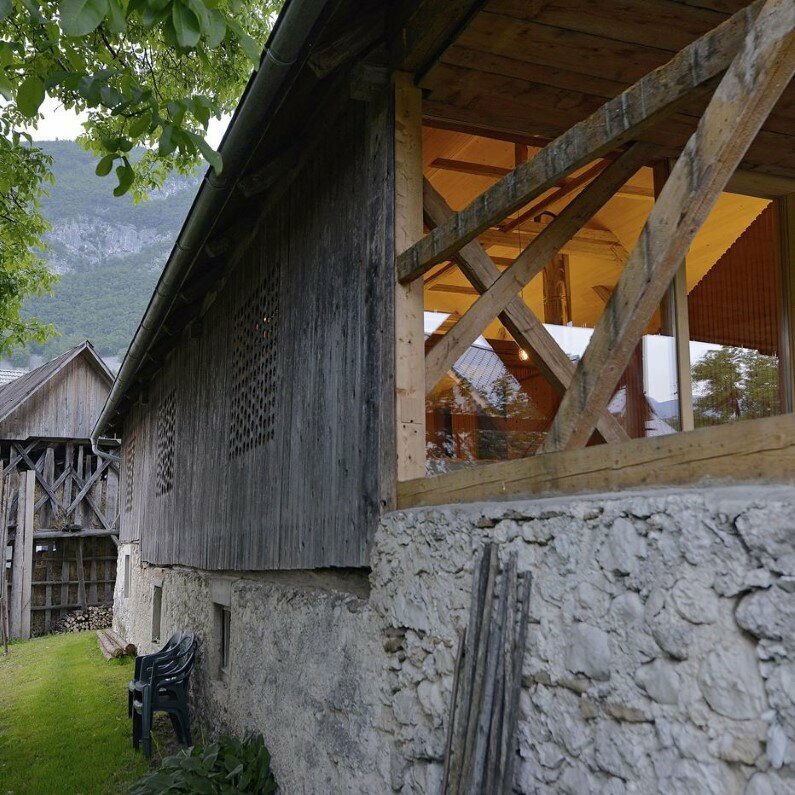 The former external storage area next to the entrance is converted into the porch overlooking the Alps. 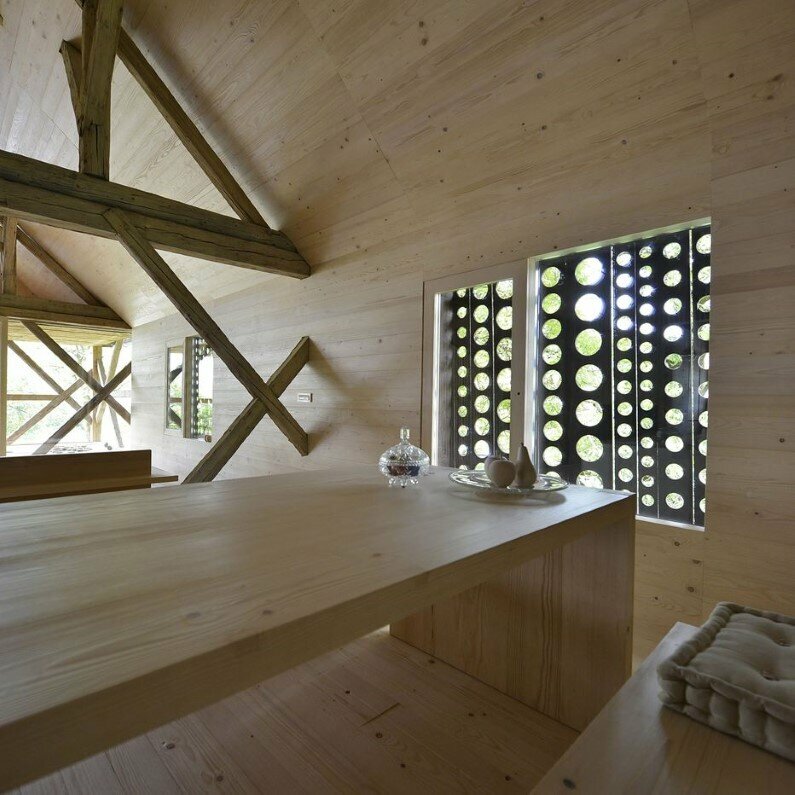 All external wooden cladding and concrete roof slates are maintained, the only intervention are perforations into wooden parts behind internal windows and opening of the front porch. 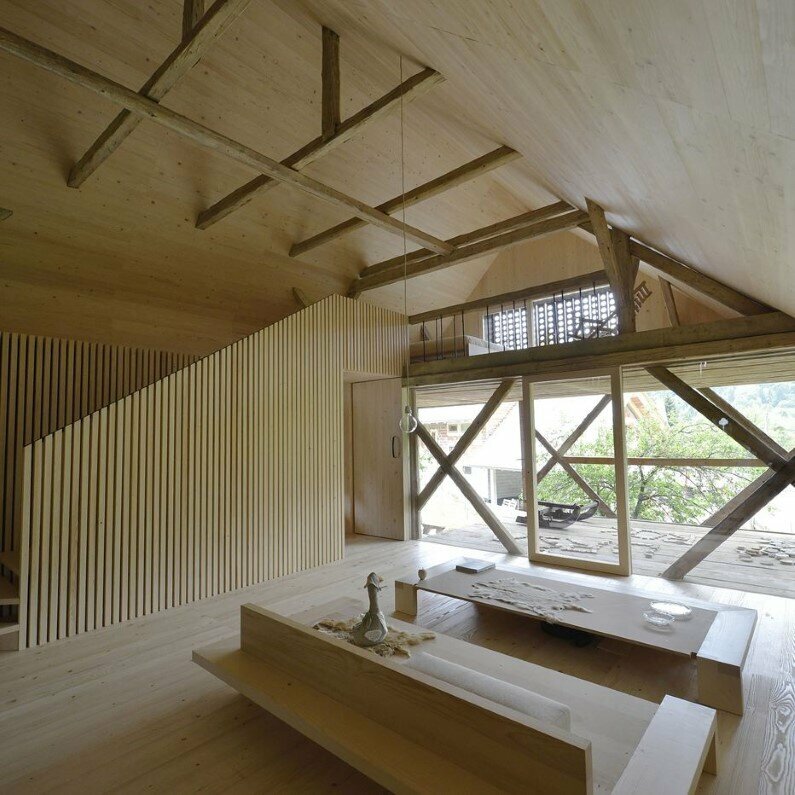 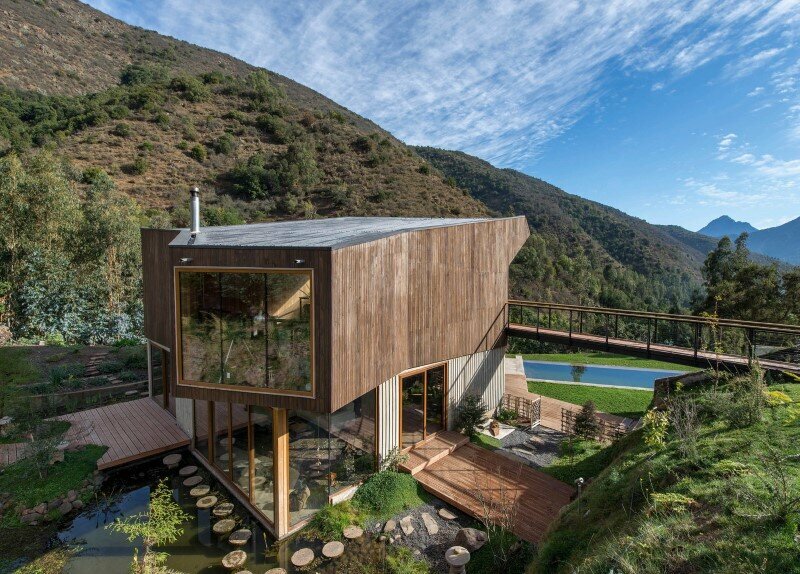 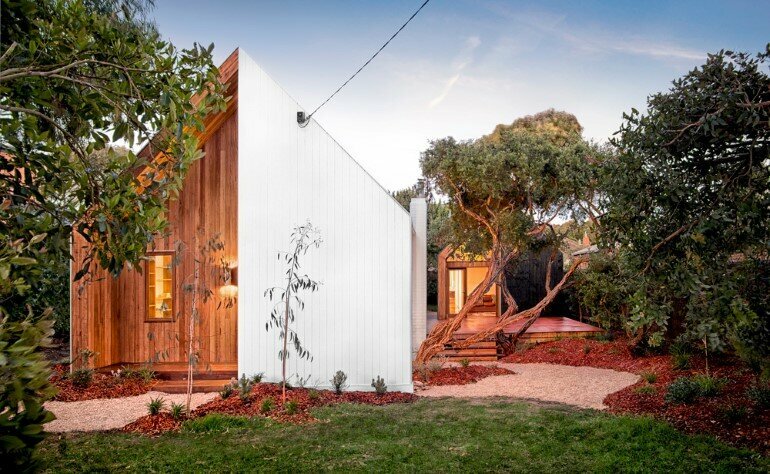 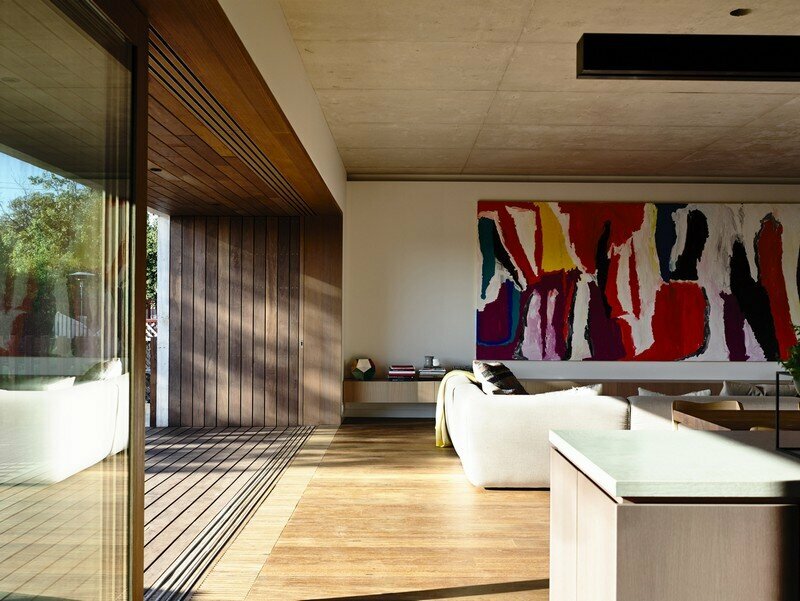 Along the main volume between each existing wooden structure line are positioned living area, dining and raised bedroom. 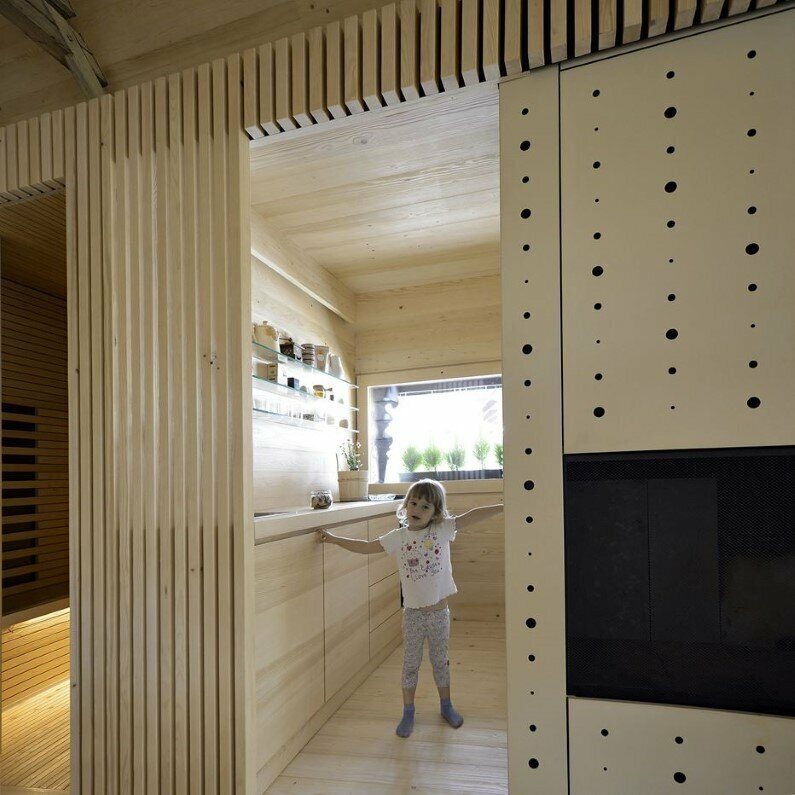 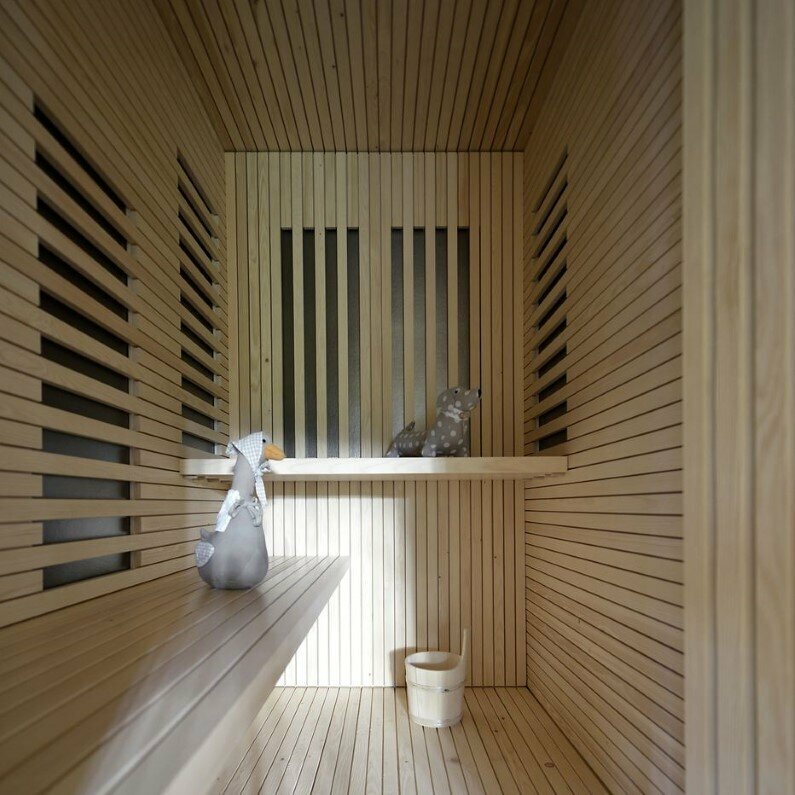 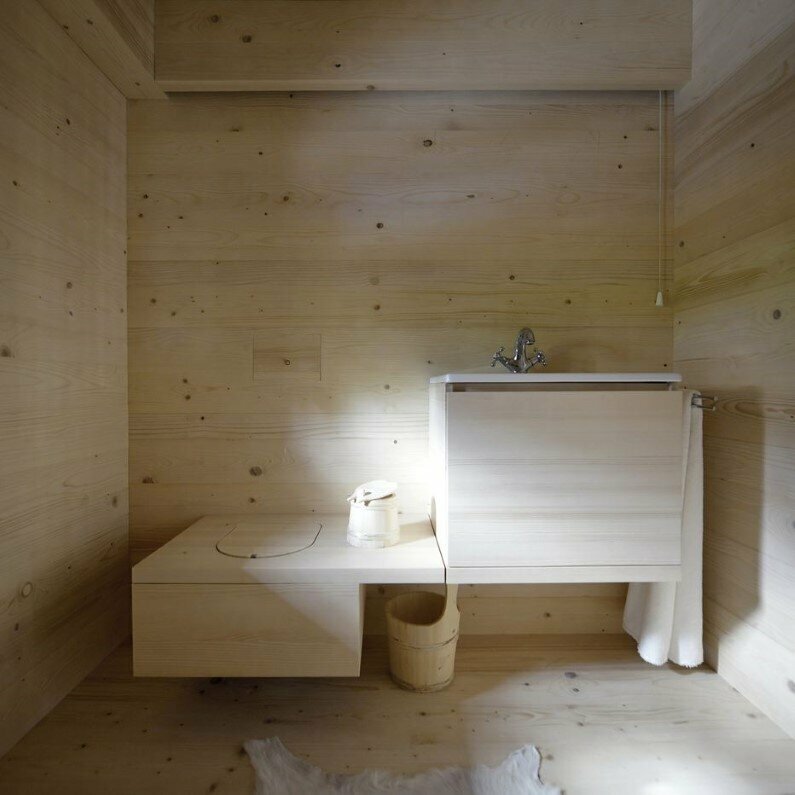 The auxiliary spaces like wardrobe, bathrooms, sauna, fireplace and kitchen are packed inside the service box displaced on the side behind the wall created by vertical planks. 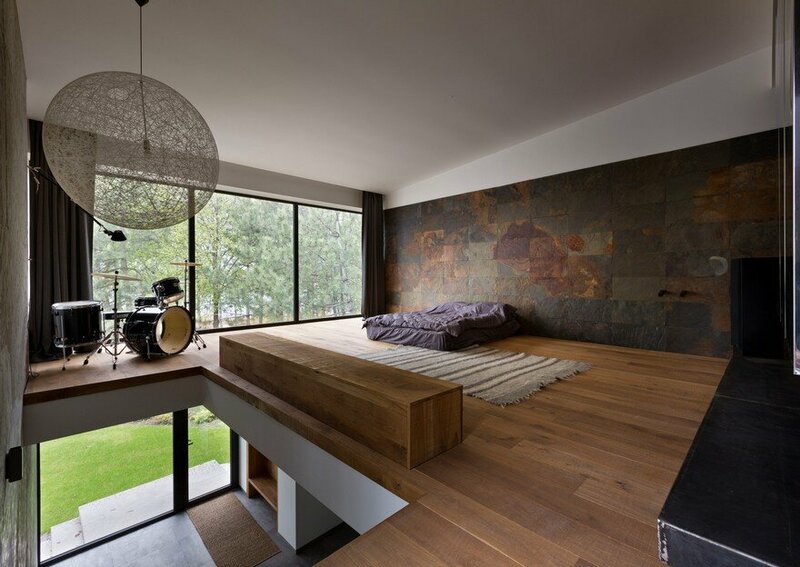 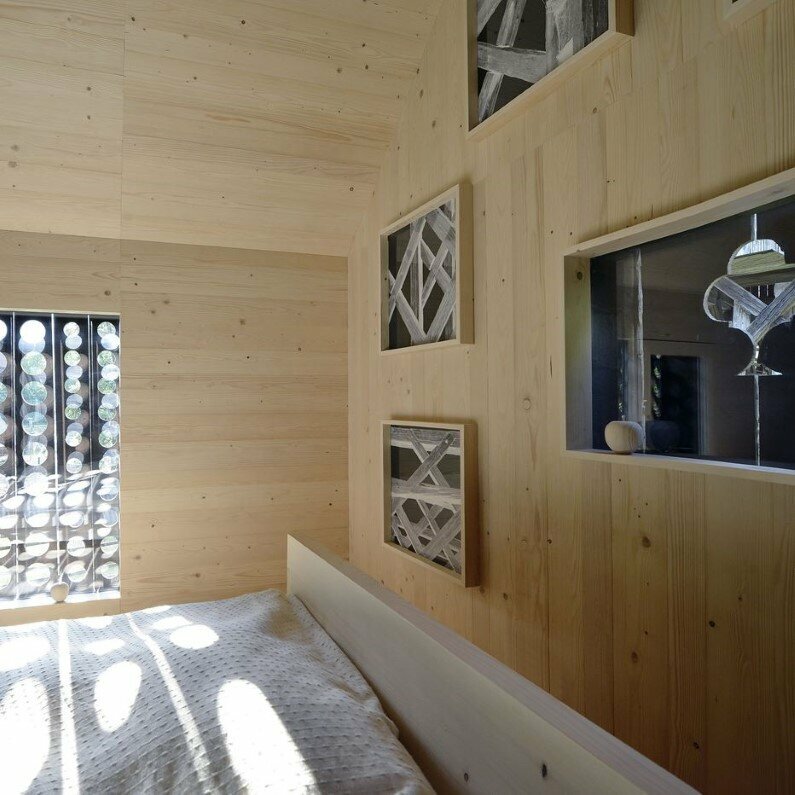 Guest bedroom is created above the terrace, opened as a gallery towards the main living space. 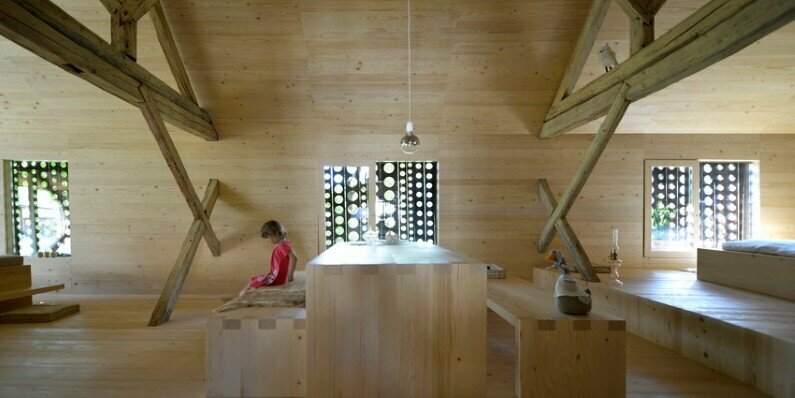 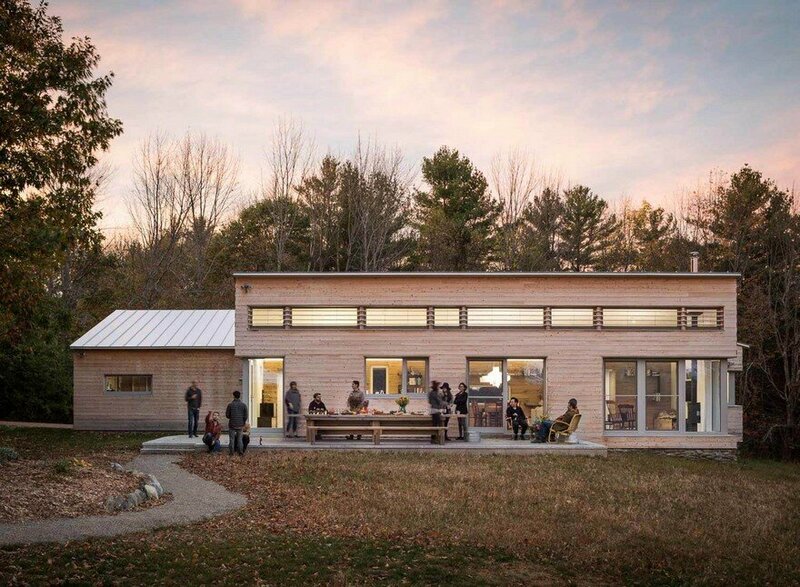 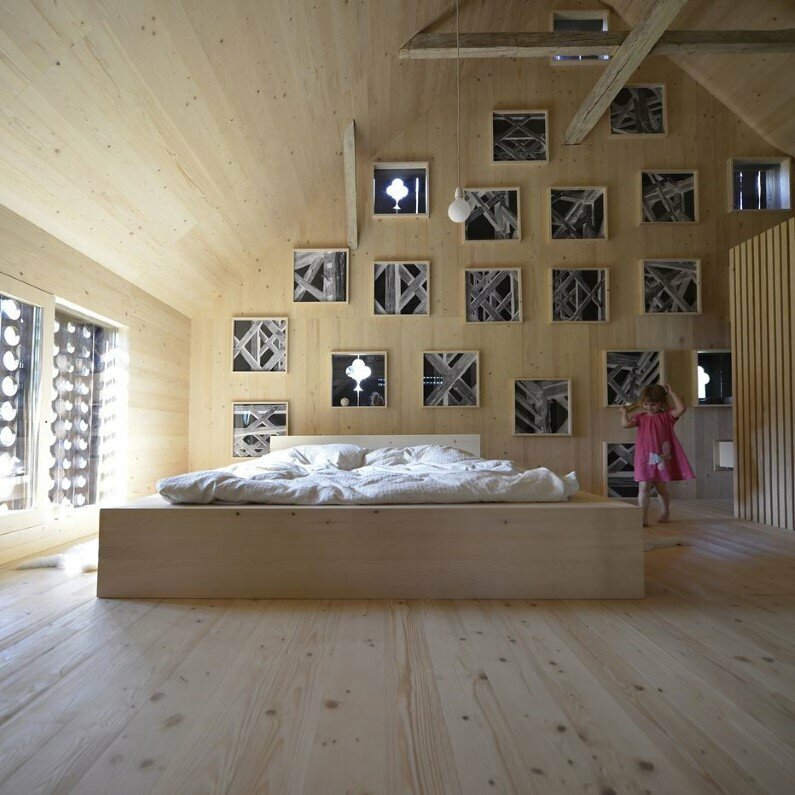 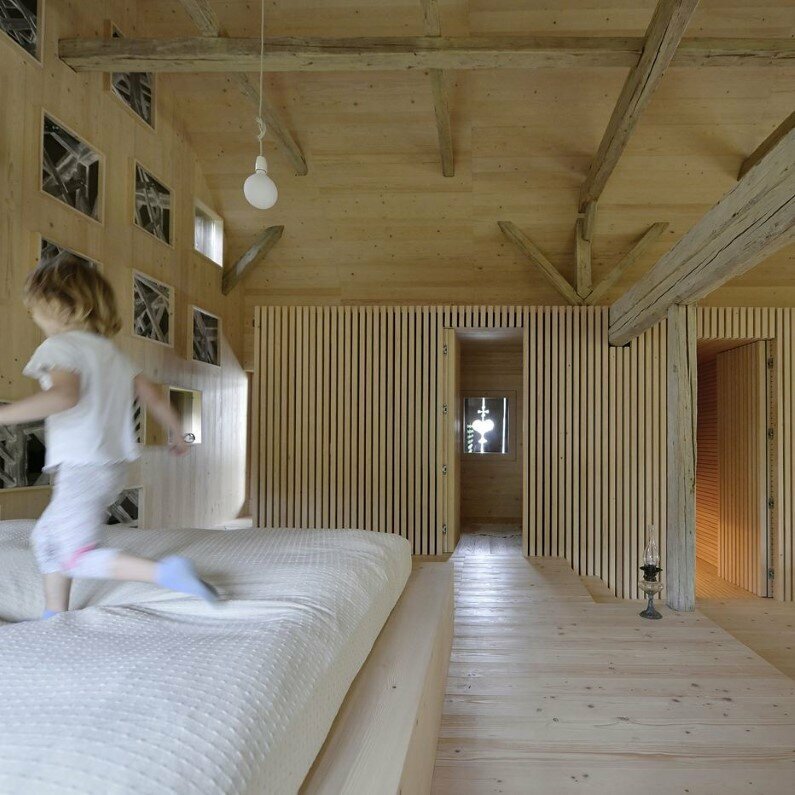 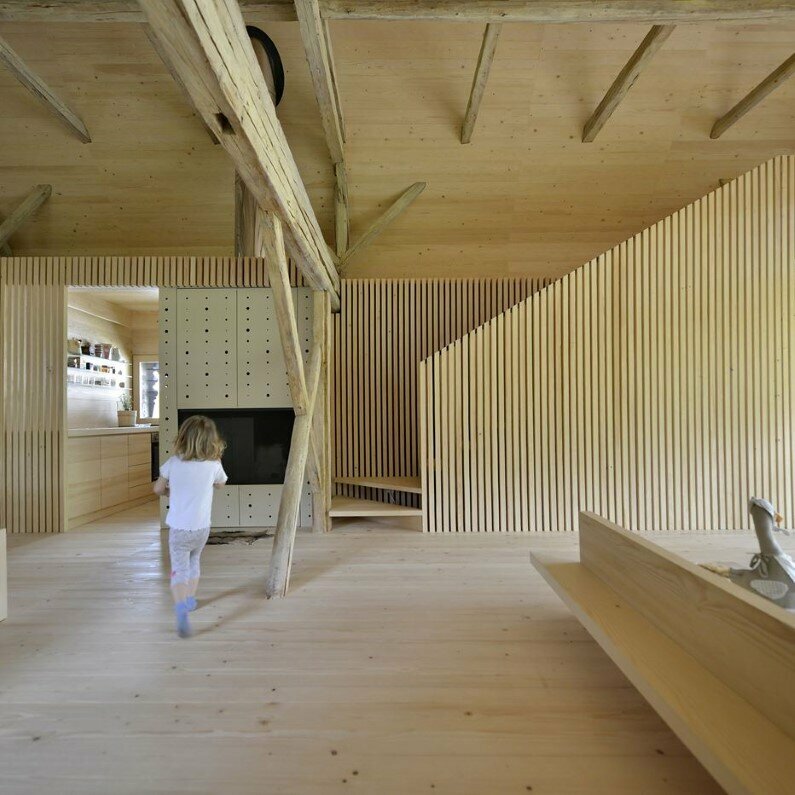 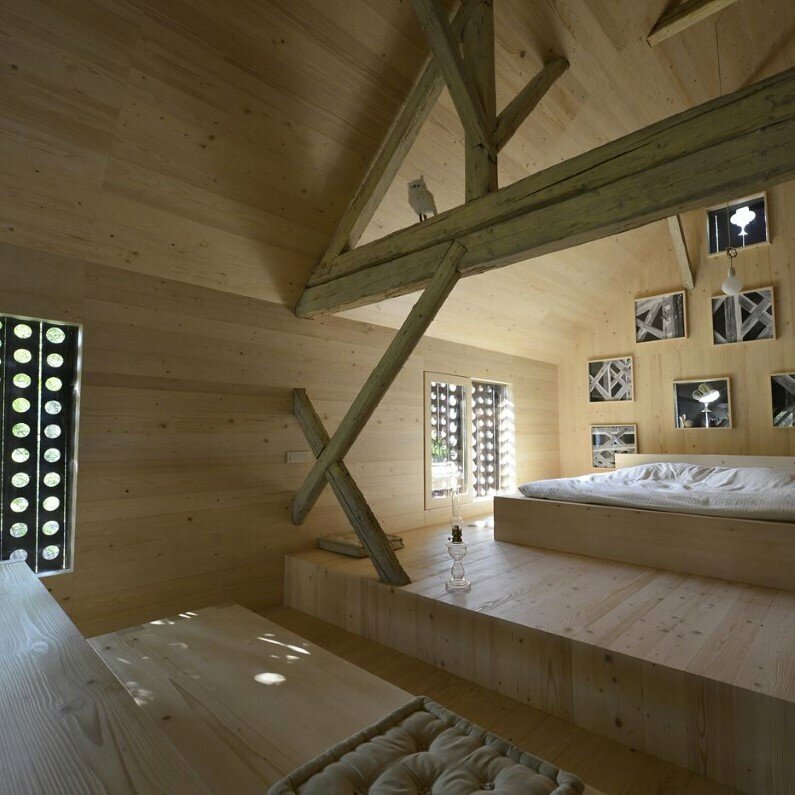 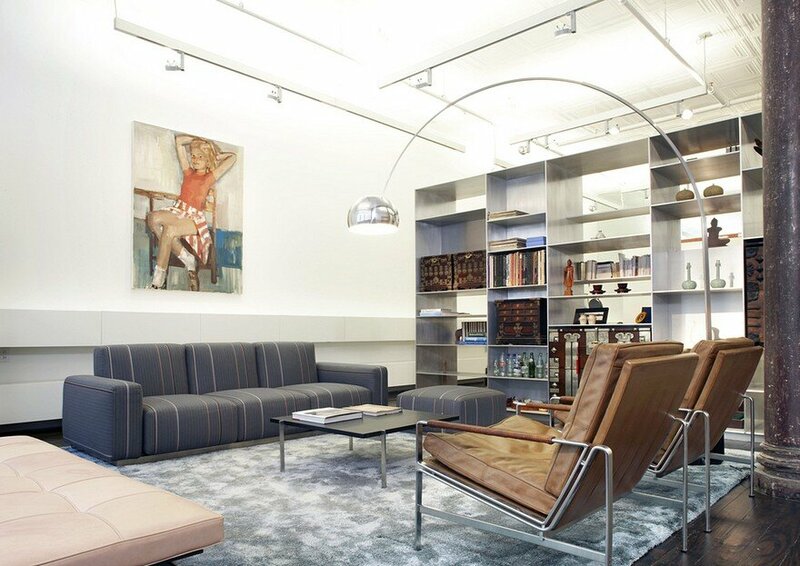 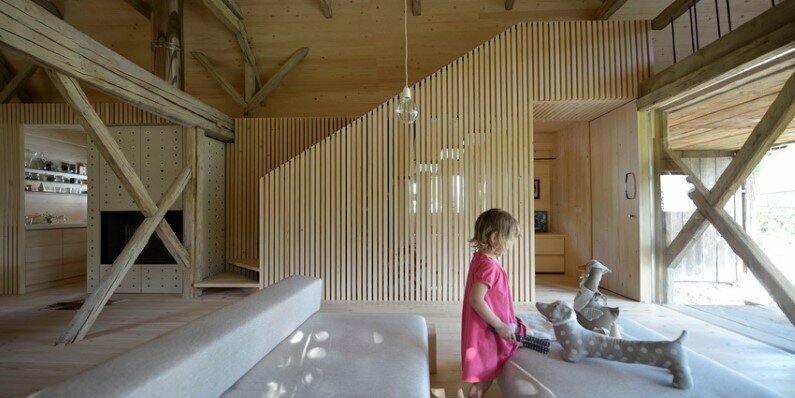 All internal shell (floors, walls, furniture) is made by deep-brushed local spruce.